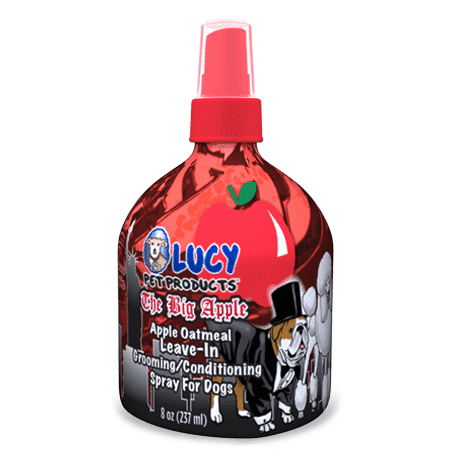 The Big Apple™ Skin Soothing Apple Conditioning Spray for Dogs is skin soothing and is great way to get your dog clean and smelling good for a night on the town or just on the couch watching TV with you! The Big Apple™ Leave-in Conditioning Spray Ingredients: Water, Coconut and Vegetable Based conditioners, Cetrimonium Chloride, Chamomile Flower Extract and Papaya Fruit Extract (shine enhancers), Silk Amino Acids (hair detangler), Panthenol (hair strengthener), Hydrolyzed Whole Oats (moisturization), Tocopheryl Acetate (antioxidant), Polysorbate 20, safe and effective preservatives: (Phenoxyethanol, Caprylyl Glycol and Ethylhexyl glycerin), Fragrance. Long lasting with effective results. 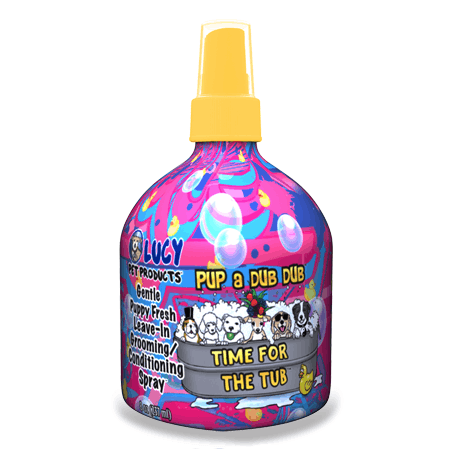 Great spray. 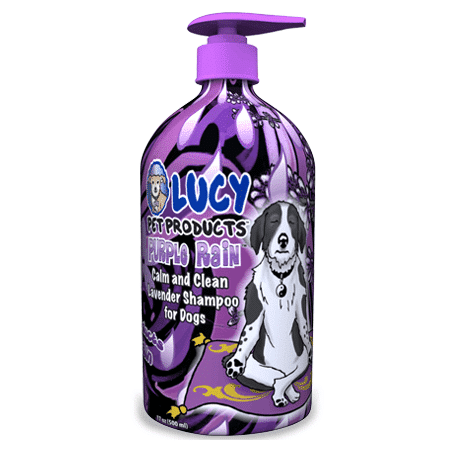 Stops the tangles in my long haired dogs coat. 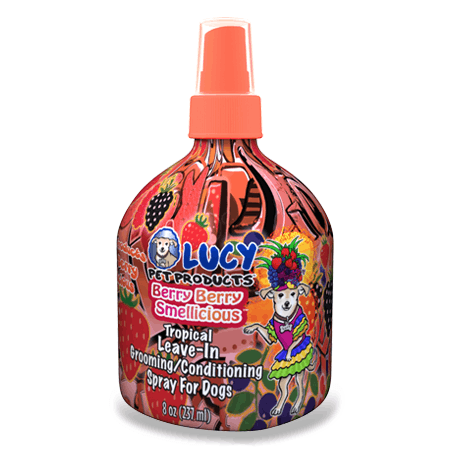 This spray seems to have helped with her constant itching and scratching. 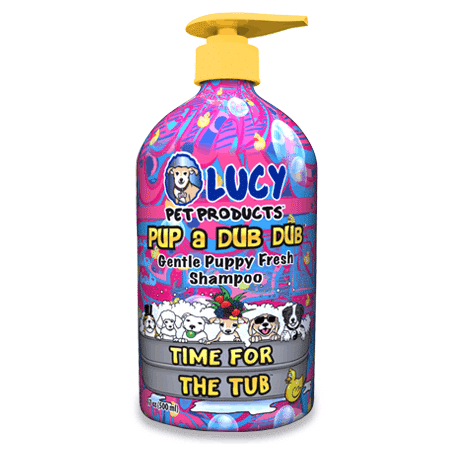 It also makes her smell fresh and leaves her fur soft. I love how my pup smells like apples after a bath instead of wet dog!